if you're looking for a new electric sports car to fantasize about, audi might make your dreams come true with a new concept car. the german automaker announced that it will unveil an electric-drive supercar concept during the 2018 pebble beach concours d'elegance week in late august. the concept car, named the audi pb 18 e-tron after the venue and the year of the vehicle's debut, is reminiscent of the le mans-winning r18 e-tron quattro, the brand says. it's promised to have a robust all-electric powertrain and is designed for the "performance enthusiast driver." 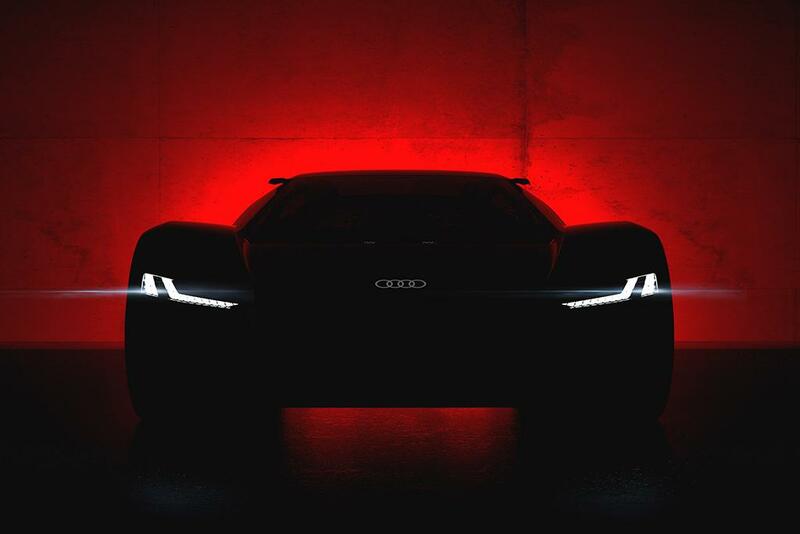 while audi has released a teaser image of the car, it's little more than a front-facing silhouette, so we will have to wait until the official reveal on aug. 23 at weathertech raceway laguna seca near monterey, calif., to see what the pb 18 will really look like. from what we can glean from the red-light-soaked image, it's low to the ground with massive wheels, evil-look-shooting led headlights and, ostensibly, a high-positioned rear spoiler. it's a sleek design that could only be an exotic high-performance luxury concept. the pb 18 e-tron is the latest in the development of audi's e-tron technology, focused on advancing the performance potential of electric vehicles. reservations begin in september for the newest available audi e-tron production vehicle, which will have audi's quattro all-wheel-drive system, dual electric motors, long-range capability and 150-kilowatt high-speed charging that can reach an 80 percent charge in half an hour. the unveiling is fitting for the pebble beach concours d'elegance, among the most prestigious automotive events in the world and home to some of the most anticipated luxury reveals. whether this concept will ever become something that well-endowed enthusiasts can add to their personal collection is still unknown, but we're eager to see the pb 18 e-tron unveiled.